The weather here has been amazing with a capital AMAZING! The little girls had early release this week, so we had some extra time in the mornings and afternoon before nap time. And because it was nice, we had to get out of the house. In fact, some days, we had another walk in the evening after dinner with the family. 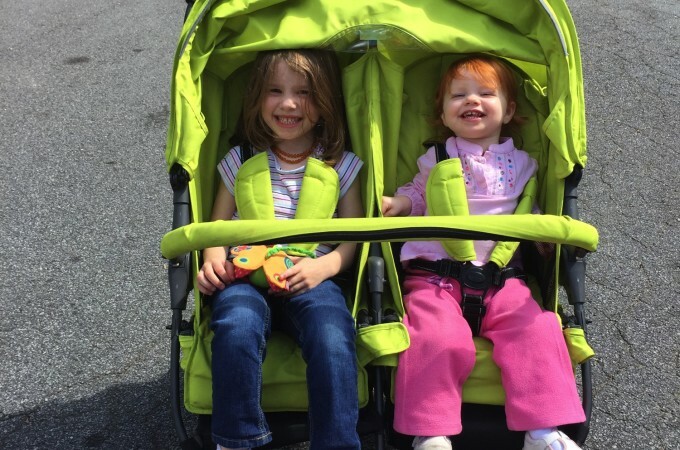 For our midday walks, the girls requested the “green stroller”. I was more than happy to oblige. They sat nicely in their stroller talking and singing and I got some steps in without having to wrangle them or having to keep them out of the street. Totally a win. Plus, they were pretty happy to be outside in the nice weather, too! The weather was great for all of us and I was so happy to have it. 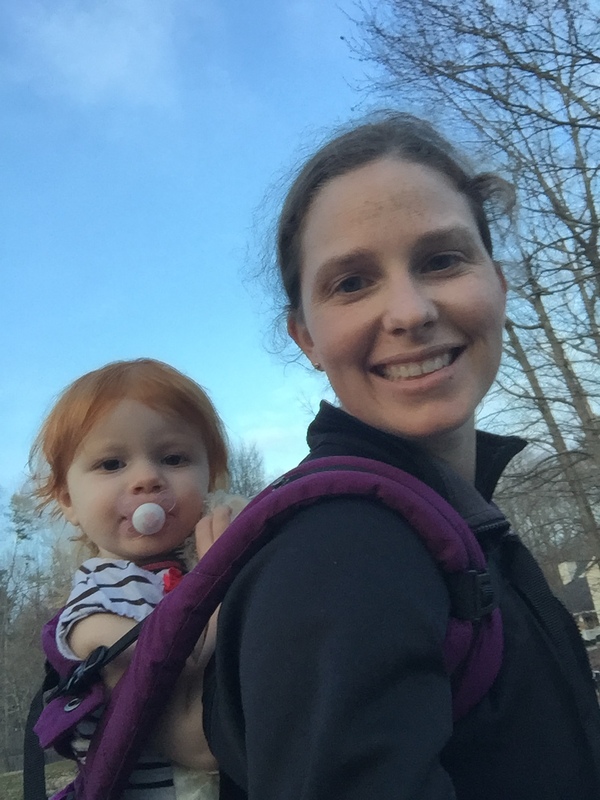 I got in over 10K steps everyday last week and hope to do more of the same this week, too! You are KILLING the step count. I’m always so impressed. If I get 1k over my goal, I’m happy. If only there were more hours in the day! I can’t wait for the weather to be warm out. Hoping to start walking a little. So cute!! We are loving the warmer weather too.